Obesity expert Sara Stein MD has 20 years of medical and psychiatric experience and a lifetime of understanding obesity. In 2011, Dr. Stein was selected as one of the Crain's Cleveland 2011 Healthcare Heroes. She is the author of award-winning “Obese From The Heart” (2009), and the recipient of the 2010 Kaiser Permanente Humanitarian Award for Community Service for her work with Obesity Clinic. She lost 100 lbs using this method, and has successfully treated hundreds of patients. Dr. Stein is a graduate of the University of Pennsylvania, Case Western Reserve University School of Medicine, and trained in General Surgery at the Cleveland Clinic. She trained in General Psychiatry at MetroHealth Hospitals of Cleveland and Stanford University School of Medicine and completed a combined National Institutes of Mental Health-Stanford University fellowship in Human Development. Gail is a clinician and therapist with a breadth of experience in healthcare and mental health settings. She provides therapy to children, adolescents, and adults –with a particular focus on groups and family interactions. Gail’s special interest is in obesity and weight management, and she is proud of her exceptional results orientated track record in partnership with Sara Stein. In addition to bariatric work, Gail specializes in women’s issues, eating disorders, depression, anxiety, and coping with grief and loss. Gail has a Masters in Social Work from the University of Cape Town, and is a Licensed Independent Social Worker. Carol is a 200 hour Certified Yoga Instructor who completed Evolution Yoga’s OM yoga Teacher Training Program in early 2009 and is a registered member of Yoga Alliance. Her training includes the History of Yoga, Sanskrit, Meditation, Anatomy, Restorative Yoga and the asana (pose) aspects of Yoga. She discovered yoga through her desire to age with dignity, grace and beauty. She has a never-ending curiosity to learn new things and specializes in creative ways to help everyone enjoy their yoga class experience – from beginners to experienced students and students who have special needs such as injuries, new to yoga or exercise and those with chronic conditions. She believes that everyone, regardless of health, age, condition can benefit from yoga. She weaves her yoga practice into every corner of life – from riding her Harley motorcycle, rocking out or buttoning up her business suit. Pam Wolf, The Gourmet Nutritionista, is a Personal Health Chef, Caterer and “all around” cooking and food coach. She has developed a creative style of cooking to prepare healthy and delicious meals for people with specific dietary needs such as weight loss, diabetes, heart disease, cancer, gluten intolerance and the list goes on. The Gourmet Nutritionista has also developed 23 flavors of gluten free biscotti. She specializes in vegetarian for very good reason. Pam says “there is no need to give up your favorite comfort foods”. You can have “just what the Dr. ordered as well.” I am “gifted”… I can recreate your favorites where you will never miss the ingredients on your “no list”. Pam lost 100 lbs, and will help you with your transformation in the kitchen! 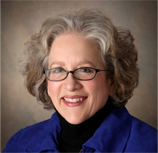 JoEllen Salkin founded Organizing 4 U in 2003 with business partner Muffy Kaesberg. They assist individuals who are overwhelmed by clutter in their homes and offices by providing hands-on organizing and transferring skills to make life simple. JoEllen holds a Master’s Degree in Sociology, and is a founder and Past President of the NAPO North Coast Ohio Chapter of Professional Organizers. The Organizing 4 U team has provided expert advice for local and national media, are the authors of Where Can I Find It?© and are frequent speakers on topics of organizing. JoEllen is also featured on Dr. Stein’s Master Your Obesity in A Weekend!